Mariscal Sucre International Airport in Ecuador’s capital city, Quito, just barely edges over José Joaquín de Olmedo International Airport in Guayaquial as Ecuador’s largest airport. Ecuador is widely considered one of the least expensive South American countries to travel in, with $30 per day being more than sufficient for most. Tourism peaks in Ecuador in coincidence with American and European holidays, making June through August the peak season, with another brief spike in December and January. Since Ecuador lies on the equator, it experiences minimal shifts in temperatures from season to season, and travelers can except temperatures in the mid-high 20s (80˚F) no matter what time of year they visit. Of course, the country’s mountainous regions do get somewhat colder. Pan flutes, llama fur blankets, and other handmade trinkets exemplify the classic Ecuadorian souvenir. One of the first things nearly any travel guides mentions about Ecuador is the diminutive size of the country. While it’s certainly not as small as some of the countries in Europe or Central America, Ecuador is tiny compared to most other South American countries. 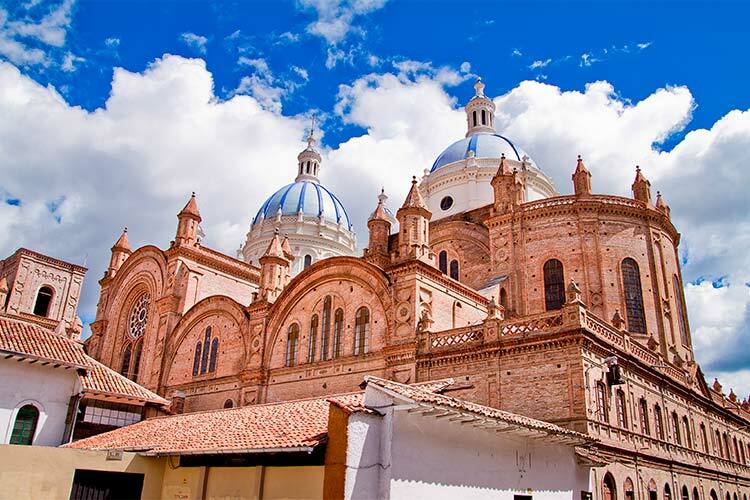 However, its size makes Ecuador no less of a charming place to travel. 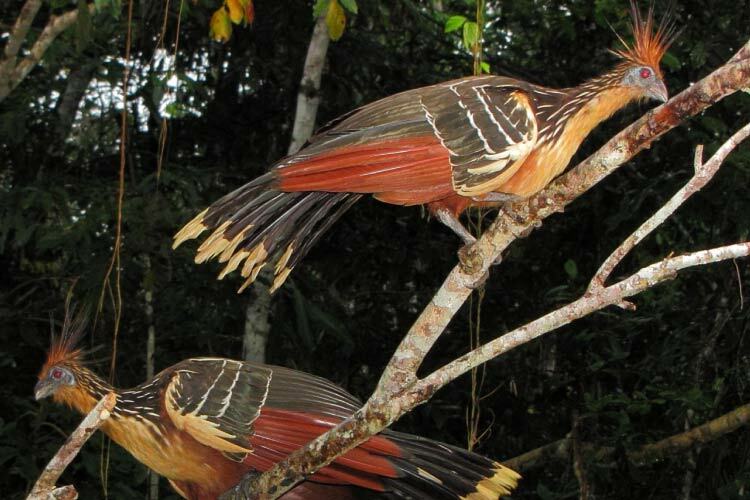 One of the biggest draws to Ecuador is its extreme biodiversity. Due to the presence of the Andes Mountains, Amazon Rainforest, and extensive highlands, Ecuador is considered one of only seventeen “megadiverse” countries in the world. What’s more, Ecuador owns the famous Galapagos Islands, where Charles Darwin is said to have thought of the theory of evolution. These isolated islands are often a bucket list journey for many ecotourists. Ecuadorian history begins with a myriad of indigenous groups. At first, these groups were largely split by language and customs, but other time a handful of civilization such as the Quitos or Cañari peoples rose to power. However, all of these indigenous groups were ultimately defeated by the Incan Empire. The Incas found Ecuador a particularly difficult area to conquer, in contrast to other parts of western South America, but by 1463 they were the undisputed regional power. It wasn’t long, however, before the Spanish arrived. Through a combination of warfare and the inadvertent spread of infectious diseases, the Spanish utterly decimated the Incan Empire. The Spaniards lust for gold caused them to exercise tight control over the region, and Ecuador remained under colonial rule from 1563 through 1809. This was largely a dark period in Ecuadorian history, especially due to the forced labor implemented by the Spaniards. In 1809, Ecuador’s first independence movement was launched. Though the new government stayed in place for just two months before succumbing to Spanish forces, their efforts proved to be the inspiration that began the Spanish American Wars for Independence. In 1820, the Ecuadorian city of Guayaquil earned its independence. Thanks largely to the efforts of leader Antonio José de Sucre, the rest of the country followed suit within two years. 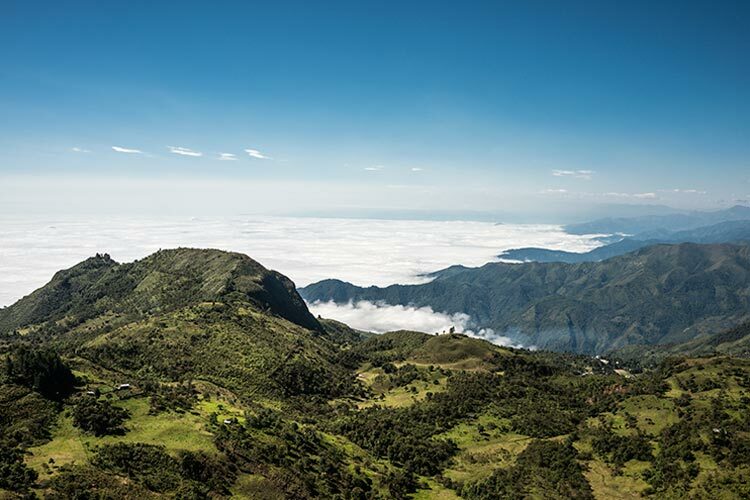 At first, Ecuador joined with Colombia and Venezuela to form the territory of Gran Colombia. However, in 1830 Ecuador separated from Gran Colombia, becoming an independent nation. Since independence, Ecuador has struggled with political and economic instability. It has lots a good deal of its land to neighbouring countries, and saw a series of short lived rulers in place through most of the 19th and 20th centuries. During the 1970s, Ecuador fell under military control, though by 1979 popular demand brought back the democratic system. In 2008, President Rafael Correa was elected to power. Though his presidency has been quite controversial due to his leftist policies and distrust of the United States, Correa has done a remarkable job of reducing Ecuador’s international debt and raising the standard of living of his peoples. By all accounts, Ecuador seems to be a stronger, better developed country today than ever before. For many people, Quito’s major claim to fame is being the world’s highest capital city. However, there’s lots of entertaining ways for the discerning traveler to enjoy themselves in Quito, provided they’ve acclimated to the altitude. One of the city’s best known sites is Parque El Ejido, a lovely park which features an enormous art fair every weekend. 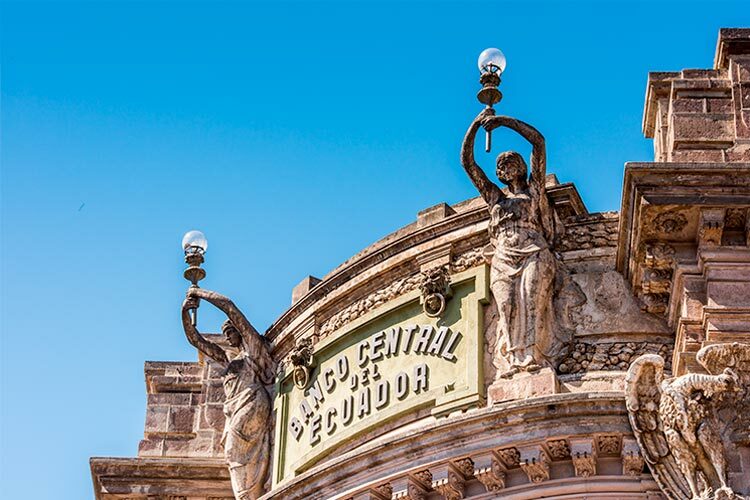 What’s more, Parque El Ejido is located directly adjacent to two of Ecuador’s most beloved museums, Museo del Banco Centro and La Casa de La Cultura. Quito also features one of Ecuador’s best old towns, where a maze of streets and plazas wind between buildings preserved from as early as the 1500s. The old town is also a great place to explore one of Quito’s many markets, or mercados. Unlike other major cities, Quito’s outdoor food markets are actually used by locals on a regular basis, and many don’t feel touristy in the slightest. If you’re looking to take an interesting day trip from Quito, consider visiting La Ciudad Mitad del Mundo, or the City at the Middle of the World. This interesting site is located directly on the equator holds a number of monuments and museums detailing the exploration and history of both Quito and greater Ecuador. Considered one of Ecuador’s major national parks, Parque Nacional Cotopaxi is best known for the volcano it’s named after. At nearly 20,000 feet in height, Cotopaxi Volcano is considered one of the world’s tallest active volcanos, though these days the behemoth mostly just vents steam through a few fumaroles. The park also has a number of other attractions, including fascinating the ruins of an Incan military compound. Cotopaxi National Park also features the Limpiopungo Lagoon, an attractive water feature where many of Cotopaxi’s most famous flora and fauna congregate. Exploring this beautiful park can be done on foot, but visitors are highly recommended to rent mountain bikes or even ride horses to get the most unique and fulfilling experience. Although the Galapagos Islands are not located anywhere near mainland Ecuador, they are undoubtedly one of the country’s most iconic destinations. Because of the enormous distance between the Galapagos Islands and mainland South America, the islands’ plants and animals were able to diverge on a unique evolutionary path. Not only did this fact help Charles Darwin to form his famous theory of evolution, it also means that even today the Galapagos features unique forms of wildlife not found anywhere else. The Galapagos tortoise, finches and iguanas are among some of the most popular species found here, though visitors might also see penguins and sea lions. 1) If you manage to reach Yasuni National Park (pictured below), you’ll be rewarded with access to one of the best preserved sections of the Amazon Rainforest. Many scientists consider the park to be one of the most diverse areas on all of Earth, and visitors can see record breaking numbers of trees, amphibians, mammals and bird species. The park also holds two of the last remaining uncontacted indigenous tribes, though visitors are obviously not allowed to interact with these people. 2) Be sure to visit Quito’s Parque El Ejido, as well as the adjacent museums Museo del Banco and La Casa de la Cultura. Then, wander the streets of Quito’s old town, spending time shopping in some of the markets or enjoying the antics of street performers. Finally, consider taking a day trip out to the fascinating City at the Middle of the World to learn about the history of Quito and Ecuador and to see the site of the Equator. 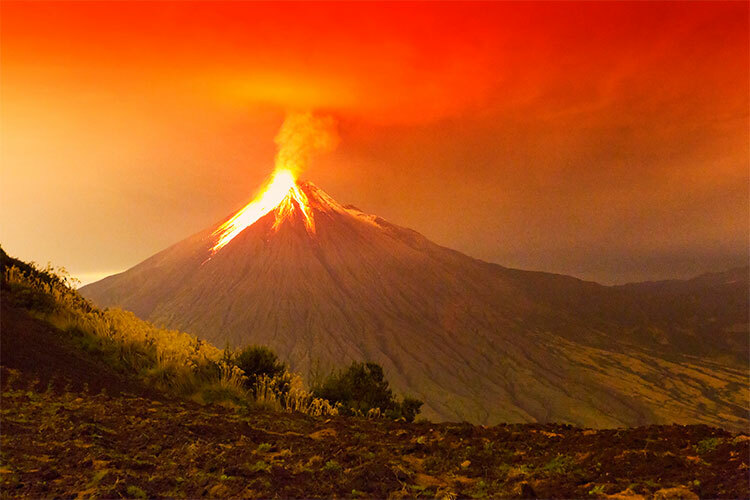 3) Although Corazon Volcano is now inactive, it remains a popular destination for amateur climbers and nature lovers. Most of the volcano can be scaled by simply hiking, though a bit of rock climbing is necessary towards the top. If you’re adventurous, consider looking for the unverified Incan ruins that supposedly populate Corazon Volcano’s northeastern slope. 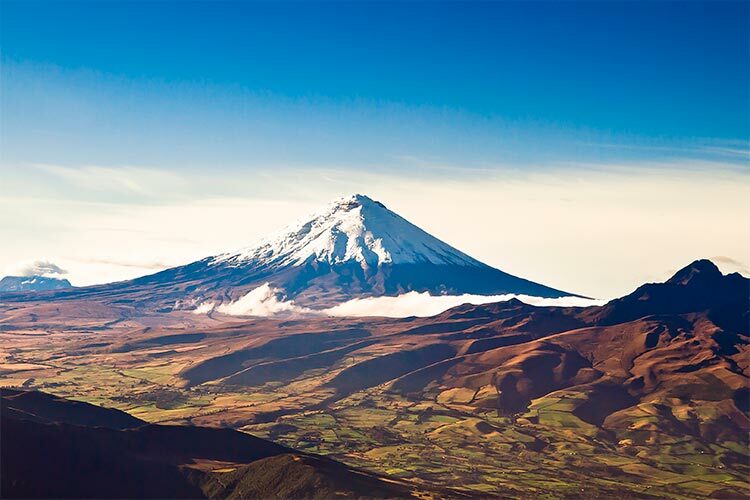 4) For an experience with a slightly more active volcano, visit Cotopaxi. Besides offering visitors the chance to see a handful of interesting fumaroles, Cotopaxi National Park also features some of Ecuador’s more unique wildlife, especially in the areas around Limpiopungo Lagoon. Travelers can also see the ruins left behind from an Incan military fortress. 5) Though not the capital city, Guayaquil is Ecuador’s largest city, and thus features tons for tourists to do. Spend time exploring the Malecon Simón Bolivar, a delightful riverfront area with many of Guayaquil’s best restaurants and artistic venues. The city also features Parque Histórico, a recreation of 20th century Guayaquil that features historic buildings, a zoo, and educational plantations. 6) The main draw of El Cajas National Park is its rugged landscape, which houses a number of endangered and endemic species. El Cajas National Park’s most famous resident is the rare South American condor. The park also features 28 identified sites of archaeological importance. Furthermore, El Cajas National Park has become a popular destination among fishermen, who recognize the unique challenge the park’s marine residents bring to the table. 7) It’d be a shame to visit the Galapagos Islands and not spend time gawking at the famous wildlife, most notably the tortoises and the iguanas. 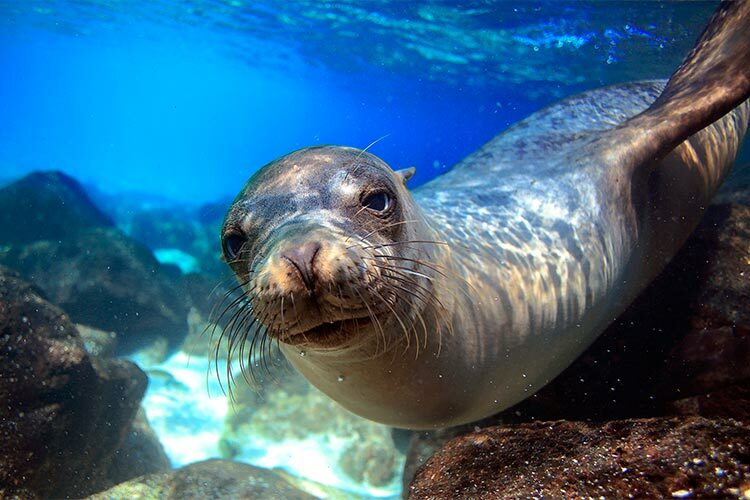 However, travelers also enjoy coming to the Galapagos to relax on the beaches or pursue other maritime activities. The island’s also feature the charming village of Puerto Ayora, the central point of human activity in the Galapagos.